SERIOUS WARMTH FOR YOUR WORKOUT. 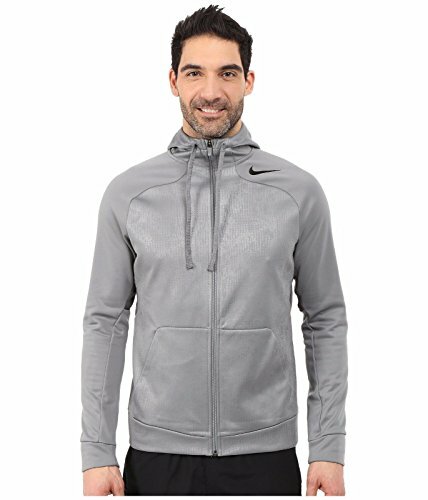 Prepare to perform with the breathable warmth of Nike Speed Fleece Full-Zip Men's Training Hoodie. The Therma-FIT fabric helps keep you dry while the full-zip coverage helps you adapt when the elements hit, featuring a scuba hood for enhanced coverage. Therma-FIT fabric helps keep you dry, warm and comfortable. Full-zip design offers adaptable coverage. Scuba hood adds coverage from the elements. Modernized camouflage graphic is embossed allover. Zippered pocket securely stores your media. Back neck tape moves comfortably against your skin. Body: Therma-FIT 280g. 100% polyester circular knit interlock. Pocket lining/binding: Dri-FIT 90g. 100% polyester warp knit mesh. Therma-FIT fabric helps keep you dry, warm and comfortable. Full-zip design offers adaptable coverage. Scuba hood adds coverage from the elements. Modernized camouflage graphic is embossed allover. Zippered pocket securely stores your media.